Funeral expenses are often a family’s fourth largest expense after paying for a house, college expenses, and a car. The average funeral costs between $6,000 and $8,000, but it’s not uncommon for funeral expenses to top $10,000. Planning a funeral may be an uncomfortable task, but, planning early will save you or your family members from having to make difficult decisions during a time of bereavement. Last-minute planning often leaves family members feeling pressured to spend more than they should in order to demonstrate their love for the departed. When my mom was dying, I went with my father to help make arrangements. Having me along helped him through the painful process of planning for an event we all wanted to deny would actually happen. Having two of us made it easier to see that a $12,000 casket wasn’t really the best decision. Bringing a friend can help you go through the process of selecting funeral products and services. If a friend of yours is faced with planning a family member’s funeral, you can provide great support by going with them and helping them stay within whatever budget they have set. It is always good to get the list of prices for at least three different services. The Federal Trade Commission requires all funeral homes and cemeteries to provide you with a free itemized price list of their services during your visit. My father and I visited a few different funeral homes in order to find one that fit with our family’s purpose in holding a memorial service. Having your own values in mind during the process can help avoid unnecessary expenses. My own philosophy is that a funeral is all about gathering friends and family to remember the loved one’s life. The products and services of a funeral home should be relatively plain so as not to distract from that focus. We do not recommend that our clients purchase prepaid funeral services. Pre-paid arrangements are expensive and impossible to get your money back out of, if you change your mind or move. Setting aside a certain amount of funds for funeral expenses is the best option. Money properly invested will appreciate faster than inflation and provide better financing for funeral services. Alternately, you can purchase a small life insurance policy to cover funeral expenses. Only if you are purposefully trying to spend down an estate for some reason should you prepay for funeral expenses. Similarly, family burial plots rarely work as planned. Parents often want to be buried near their children while children often want to be buried near their own children. Where you are buried can be especially tense if you have been remarried. Children often want to reunite mom and dad in death while your current spouse may have other wishes. Communicating your love for everyone as well as the reasons for your decision can help avoid those tensions being combined with the powerful mixture of grief and anger. Preparation and care of the body. Do you want your body to be buried immediately after death, embalmed and buried, cremated, or donated to science? Place of burial. Do you have a cemetery or burial plot? Where would you like a service? Who would you like to perform or speak at the memorial service? 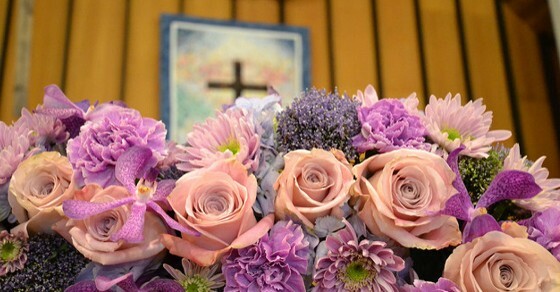 Do you have favorite music or flowers that you would like included in the service? Communication with friends and family. Who should be contacted regarding your death? What would you want included in your obituary and headstone? Is there a charity where contributions should be made in your name? Important documents. Where is your will? What is the contact information of your executor, lawyer, CPA, and/or financial planner? Do you have an inventory of your assets that is kept up to date annually? Where is your safe deposit box and key? Where are all the important documents such as birth certificate, marriage, divorce, prenuptial, deed, business, insurance, financial, social security, pension, and/or benefit records? Keep these instructions handy, not just sealed away with your will or in your safe deposit box. These funeral wishes as well as your estate plans should be reviewed periodically, both by you and with family members. The original version of this article was published December 19, 2006. Photo used here under Flickr Creative Commons.